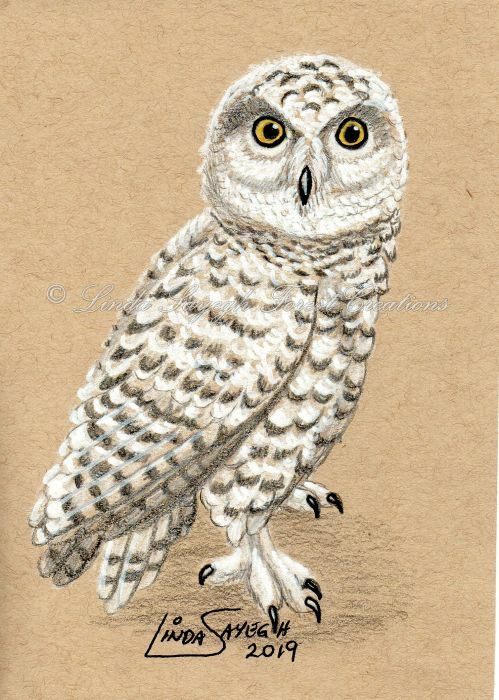 Drawing of a Snowy Owl. Colored pencils, sharpie paint pen, white marker on Toned tan Strathmore paper. 5 x 7 inches. Jools62 says: Amazing. Thank you for choosing my prompt x	~ Reply?